I was very fortunate to be provided a loaner Sony A6500 from Sony for two days in late November. The news came quick that I'd be able to use it so I called my Assistant Brenda asking her to organize a shoot as quickly as she could. She organized a group of models and crew to meet down in La Jolla, California which is an absolutely beautiful area. 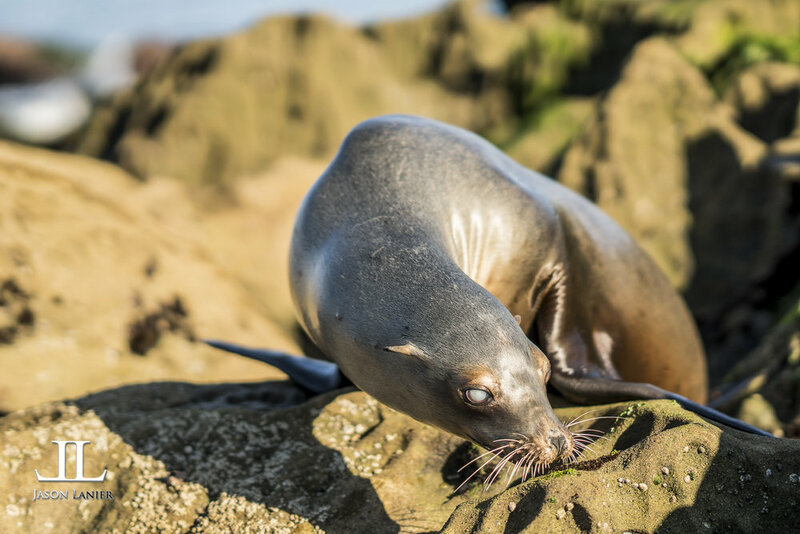 To be specific we went down to the area called the La Jolla Cove where not only is the coast line beautiful like many areas in Southern California, but you'll also be able to interact with some amazing wildlife. So we went to set up the shoot on the rocks where the ocean meets the land and while setting up we were visited by an amazing seal. The amazing creature came right out of the ocean, crawled up onto the rocks and started posing for me. Now he didn't know he was posing....but he sure did a great job of letting me take his picture. At the moment when he came up we weren't even fully set up and ready to shoot. I'd just pulled the A6500 out of the box and had put in a card. My mic was also not even tucked in but luckily it was on. I told my videographer Jason Coccio to start rolling the minute I saw him. So while my plans were to shoot a model for my first set with the A6500, it ended up being a beautiful seal. Since I was planning on doing a model fashion shoot I had the Sony 85mm G Master on the camera, not a traditional wildlife lens. But I decided to go with it and shoot the seal in a similar manner to how I'd shoot a model portrait session. I could have easily stopped down and shot it at f/2,8 or even more narrow, but I accepted the challenge to shoot it wide open at f/1.4. Navigating around slippery rocks wasn't the easiest thing to do with a loaner camera and a $2,000 portrait lens, but it did result in some pretty awesome shots. The first thing I noticed was just how FAST the camera focuses. People say it's the same sensor as the A6300, but all I know is it tracks and finds focus faster....which is saying a lot because the A6300 is already fast. The seal gave me the very unique opportunity to really test the tracking because a seals head moves up and down and side to side like a rocking boat. It is NOT easy to track. Luckily the A6500 did a great job of finding and keeping focus. 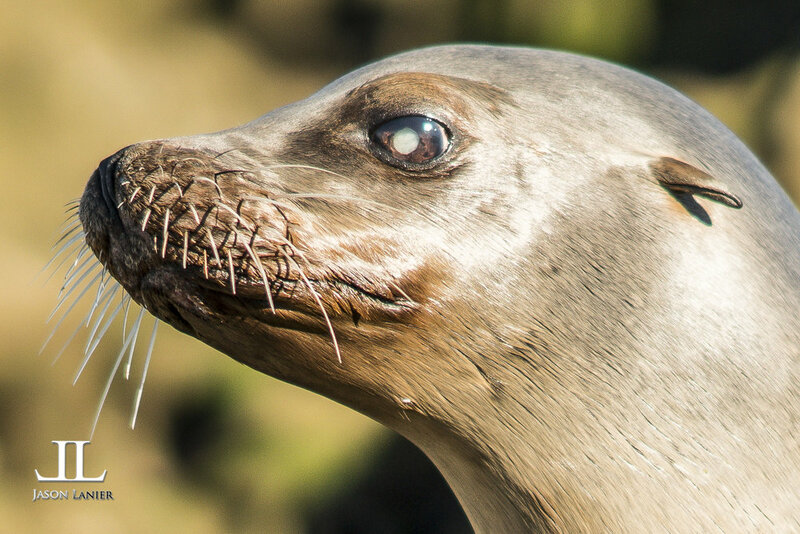 I then quickly placed the Sony 90mm macro lens on my camera and tried to get some detail shots of the seal. Again, focus was achieved very quickly which enabled me to get some great shots. 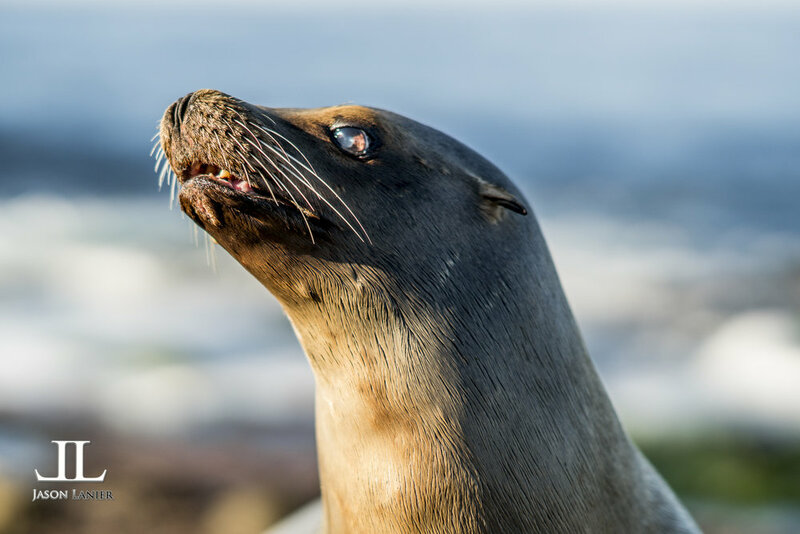 So after shooting for about 15 minutes with the seal, it became sick of doing a photoshoot and meandered up the rocks to join the other seals that were there. It was a great shoot and we quickly moved on from it to shooting with the models. My initial thoughts from my first shoot with the A6500 was that it performed remarkably well. The buffer in Raw was significantly better than any other Sony camera I've ever used. The auto focus was faster and it responded well in so many ways. I even filmed some footage of the seal with the camera and noticed the benefit of having the IBIS on the camera. Below are some links to gear if you'd like to add one of these to your gear bag.